Supermarket. Train. Playground. For quick trips out, weekends away, and everything in betweenthe MIXX is the one. This versatile stroller has plenty of space for essentials. Plus its smooth maneuverability allows you to push with one hand, for some fun spins along the way. Or for when you need to double back to pick up that dropped bear. Nuna MIXX Series Stand, designed with all the little details in mind, so your adventures in parenthood can be that much easier. 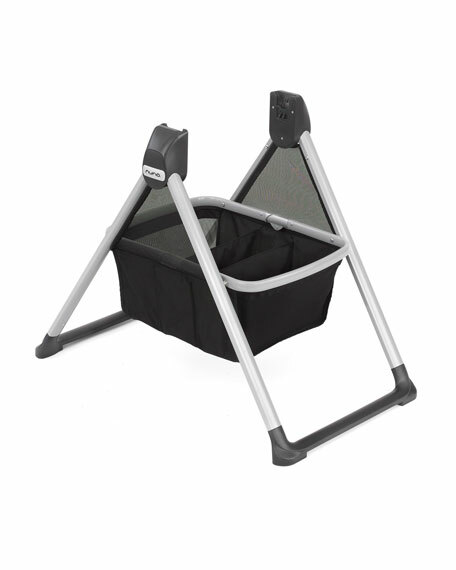 Connects to the MIXX series bassinet and MIXX series stroller seatno adapters needed. Folds and unfolds with one hand. Ultra-compact design perfect for traveling and storing. Large storage basket holds baby essentials. Sweet stand made of 12-gauge enameled steel and brass with a bronzed stainless steel rim and wood ball finial. Hand painted with a subtle jewel-tone palette woven through glossy, hand-painted, high-contrast checks. Hand wash. Due to the nature of handcrafting, stands may vary. 12"Dia. x 14"T. Imported. 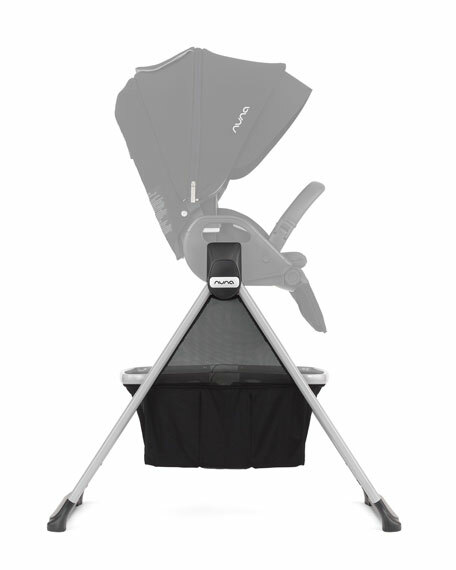 UPPAbaby rain shield specially designed for the MINU From Birth Kit Stroller. For use with infants up to 20 lbs.